(I received a free copy of this book in exchange for a review). (This review may contain spoilers).Despite this book containing first and third person POVs, I still found this fairly easy to read. There was a nice combination of fantasy and science fiction in this book, I felt. Although the caracters were introduced in a list format (which I really don’t feel works), for the most part, I found them quite well-rounded characters… though I felt Keira was a bit too cliched; and I forgot that there was a third boy in the group, because Ben wasn’t referenced at all for one scene.I liked the tribe that Alex and the others ran into. I think I would have liked a bit more background of them spending time together before they were transported to the other planet, since a lot of what could have been foreshadowed was dumped into the book right when it became relevant – such as Ben and Alex both having first aid training. Even when it was revealed that Ben had first aid training, there was no mention made of Alex having had the same… and I think that detracted from the story in many ways.I did feel that more than just Keira were a bit cliched, too… such as the bad boy who’s actually not that much of a jerk; and the quiet, clever girl. It was good to see more of Alex, rather than just have her come across as the typical new girl… but I think seeing the other characters through her eyes had something of a detrimental effect.The descriptions of the different types of animals were pretty creepy, but I did feel a lot of sympathy towards the tribes. In some ways, I also felt sorry for the jaguars. Since I only saw one side of the story, I would have liked to know more sides of the situation they were in.I did notice that the villain wasn’t really well-defined. He just came across as the typical Evil Overlord… complete with killing/maiming his underlings. The more interesting villains are those who believe they’re justified… and I saw no evidence of that.Kumani was a fairly interesting character and someone I would have liked to see more of. I also would have liked to learn more of Alex’s connection with Goden… and more of the Brotherhood and how they fit in with everything.I would really like to read the second book in this series at some point in the future. I felt this was an entertaining, easy read… and it would be really good to see more of the world and perhaps learn more about the different people from stories and how they’re connected to all of it. Back in August of last year I was a part of Tamar Hela’s blog tour to publicize her debut young adult novel. As a participant of her tour, she sent me copy of Feast Island to review as well, and sadly it has taken me this long to actually read it.Let it be known that I still, even at the age of 21, love YA books. And I knew this was a YA book going into it, but from how I interpreted the summary, I expected the protagonist and side characters to be closer to adulthood — like around 16, the typical age of YA book. So you can imagine my surprise when I started getting into the mind of a 14 year old. But I was pleased by the way the main character, Alex, was portrayed throughout the book. The language, tone and word choices Hela used in Feast Island was very accurate for a 14 year old girl. I know this because when I used to write stories at that age, my writing style was very much like Hela’s. Sometimes I find that when authors write YA books, they tend to write maturely for young teenagers. This wasn’t the case for Hela, though, because I believed that Alex was 14. She worried about all the things I used to worry about at that age: my braces, crushes, family, confidence, etc. You could see her grow, even just a tiny bit, over the course of the book, as well as her peers. Sure, each character was stereotypical, but I didn’t really mind because I find that when people are that age, they tend to see people as stereotypes. I have a feeling though that as the books continue, Alex will learn that there is more than meets the eye when it comes to her newfound friends.Characters and writing style aside, the plot was unique. I enjoyed the pacing of the plot even though I wasn’t altogether surprised by any of the turn of events. I loved the idea of a separate world from our own, with different cultures and languages. I’m a sucker for fantasy novels, and I was hooked to Feast Island from the start. I won’t say what all happens in the book, obviously, but I need to discuss one thing that irked me about the story. Or two things for that matter. One, I wasn’t a fan of the ultimate climax. I found myself just reading that part for the sake of reading it, but I didn’t find it believable. How could three tribes, who have done nothing but hate each other for years, all of a sudden just band together for one battle? It makes no sense that it was the children that influenced this, because they hardly did anything. There should have been more added to this — perhaps a battle that took place on the front of one of the tribes, and that tribe calling the other tribes for help but no one comes through. Then, when that one tribe suffers major losses, and the other tribes realize that they’re tribes are next, they decide to band together to save what’s left of their people. Something like that. Merely coming together to fight with really nothing leading up to it didn’t make sense. The other thing that irked me was that they went home at the end. I really would have preferred them staying in Cantelia until all their tasks are done, instead of them going home to that happy ending and, ultimately, being called back again. I would have liked to see how life would have been like for them post-war.I do have to say, however, that I was pleasantly surprised by the lack of romance in this book. I automatically assume all YA books will have steamy kissing and love triangles from the get-go, but not this one. Thank you, Hela, for reminding us that not all young teenagers have these dramas (I certainly didn’t!) and that the story is more important than some teenage love. I know it’s coming in the next book or two, which is okay, but I’m glad you didn’t start with it right away!Oh, and because I’m a Grammar Nazi, I have to point out that this book could have stood for some more editing. There were many misplaced commas and quotations, as well as one or two misspelled words. I cringed a lot when I came across these.Either way, though, I did enjoy this first book in the Spirit Lake series, and I am looking forward to seeing what adventures, challenges and triumphs Tamar Hela comes up with next. This story is about magic, space travel (sort of), and finding out what you are capable of. The characters in this story get magically transported to another planet where they are hailed as the Chosen Ones who are to get rid of the evil in the land. This story will continue in future books. The mythology revealed in the story is very interesting. I cannot wait to see where it goes. It also has an underlying psychological study on what make friendship and how trauma or stress can bond people. This aspect is truly interesting and worth studying. I give this book 4 out of 5 clouds and look forward to reading more about Alex and her friends. I picked up this book when the author, Tamar Hela, pitched it to me on my blog during my Twelve Days of Christmas event. She was looking for reviews, and her book got me from both the pitch and the sample. I ran out and bought it, as I do all books I review, and the rest, as they say, is history. Enough about how I came upon the title! Let's get to the good stuff.From a Reader's Perspective:This book has a lot of heart and a great story. I enjoyed the main character, and felt like she grew as the book progressed. It's a standalone in the beginning of a series, but there's no crazy cliffhanger at the end. Everything is wrapped up in a pretty bow. Plot-wise, Feast Island was spot on. Teens getting whipped away into another world? Yes, please! I also adored the idealism of the youngsters. I felt the story was paced well, and will be a great read for younger people. All that being said, I didn't really connect with any of the characters. I think it's because there were too many for me to get a firm grasp on one. 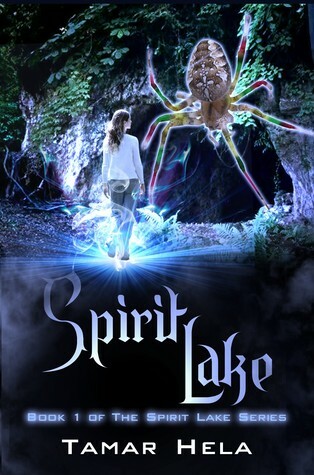 I did like that I got to hear Alex's thoughts (she's a typical teen with a snarky process), but I found myself wishing for more of the Spirit Lake legend to be intertwined with her journey. There were also a ton of redundancy issues. Head hopping happens a lot, and there are at least three POVs (though the only one I could put a finger on whose head I was in was Alex's). There were a few times the author's voice intruded, and pulled me out of the story. Dialogue felt forced with names spattered in often. Which leads me to...From an Editor's Perspective:Very few pronoun issues. I was pleasantly surprised by that. However, the issues I found were redundancy (as mentioned), lack of comma lists where needed, author's voice intrusion, and confusions/dropped words. Examples: She had long, white hair that was braided and pinned close to her head and looked younger than she was. This translates to: her hair looking younger than her face. Nominated and voted. Same meaning in two words. Use of ?! and ?? happened often. Corporal and corporeal. Two very different words, the first used where the second should've been. I dismounted and chained my bike to a tree and made my way... Needs commas to improve flow.Rating:1 Star for giving me a fun read with great pacing1 Star for making me laugh at some of Alex's inner monologue1 Star for tying up all the loose ends and an interesting plot-1 Star for redundancies and forced feeling dialogue-1 Star for confusions of words and phrases and for head hopping with no focusOverall, 3 out of 5 stars. A good read for a teen (very clean), and something to enjoy on a rainy afternoon. After winning this book from a giveaway, I opened it with no expectations. What I found was a very cute and unique story with a refreshing lack of make-out scenes (as much as I appreciate romance, I get tired of young adult drama sometimes). To be quite honest, it could have stood for a little more editing. As a grammar Nazi, I cringed a tiny bit at some misplaced commas. I think the best group for this book is junior highers. In fact, I am going to lend this to my twelve-year old family friend, and I promise she will adore it. Readers who do not mind the grammar mistakes and are looking for a short, fast-paced, less intense read will thoroughly enjoy Feast Island. I thoroughly enjoyed Tamar Hela’s romp in a parallel universe. Her characters encounter strange creatures and a world in upheaval while discovering their destinies. Her teen narrator’s casual vernacular reminds me a little of the Mara Dyer books (without the expletives).This novel is clean and fun. It is suited for middle-grade and up. I look forward to reading the next book and getting to return to the world Ms. Hela created. This turned out to be a really good story. It had adventure, humor, gore (not too much),....etc. A little of everything. However the title and cover of the book did not fit the actual story. It's about a group of teenagers that go thru a portal to another world. They help the tribes of this planet get back together as friends. More happens but you'll have to read it to find out. Love this Author!!!! Can't wait to get my hands on the next book in this series!!! Really enjoyed this SciFi fantasy. There wasn't a lot of romance, especially considering it was a YA book, but that worked for the story. I liked the pacing and thought the writing was pretty good. I think I would read something from this author again. It's pretty clean, too, so it could be appropriate for middle grade readers. But I think anyone who likes fantasy/action books would like this book. If you're looking for a YA book that's fast-paced, and unlike other YA books in the current market, this is the book for you! NOTE: This is the 2nd edition and has quite a few new additions and surprises for first time readers and long-time fans alike! Tamar Hela - Tamar Hela is a writer, editor, and Queen Of How-To at Sticky Steps. Originally from California, she currently resides in Shanghai, China. From the age of ten, many of her teachers encouraged her to pursue a career in writing fiction. Having a knack for language and loving the art of storytelling, she loves using words to create new worlds for readers. When she’s not writing, drinking coffee, or traveling somewhere cool, she can be found curled up with a good book (of course).